Finally done with those exams (for one month at least). Now I have time to get back into business. Any, yeah, I worked on two big things. The first thing is the song stone. In the post of August 17th I talked about the way how you will be able to find the songs. And I decided that I will use those song stones to show and teach you the songs. Also, you can't play songs you haven't learned yet. The second thing is the inventory screen. 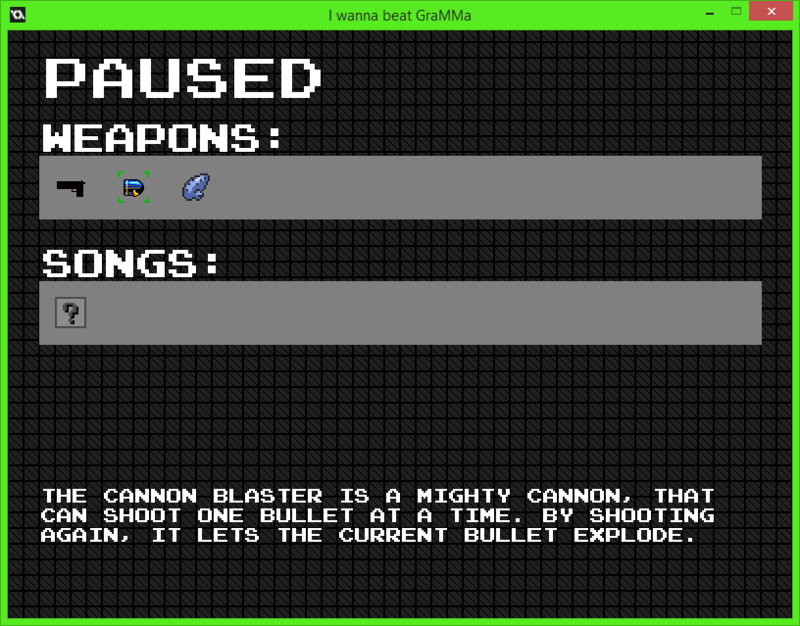 It is currently showing all the weapons and songs you have gathered throughout the whole game and have available to use. The songs will also be shown as notes if you press a key (but I still have to implement that).